London press Farrago Books will bring the Batch Magna novels out, in print and audio, as well as ebook, starting in early May 2019. 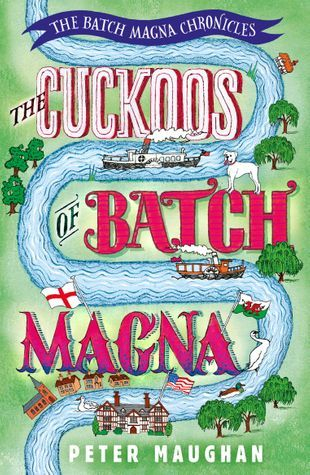 The cover for the first book in the series, The Cuckoos of Batch Magna, is the inspired work of illustrator Patrick Knowles. The fourth book in the Batch Magna series, Clouds In A Summer Sky, is now out (see page for details). In the third book, The Batch Magna Caper, it is seen that the Commander’s wife Priny has arthritis, a condition not at all improved by sitting on a river. They take up Humphrey’s offer of a straight swap: their boat, the Batch Castle, for one of the Masters’ Cottages facing their beloved river. The Castle is restored to river worthiness. It starts plying successfully as the Cluny Steamboat Company to Shrewsbury and back, and by doing so takes a good deal of profit away from a taxi firm in a local border town. The English owner of the firm, Sidney Acton, enlisting the aid of two corrupt Welsh councillors, plots against the new venture. Sample chapter here.